It's been almost 2 months since a Macro lager review and judging from the number of emails I've been getting about the subject I'm guessing you've missed them. 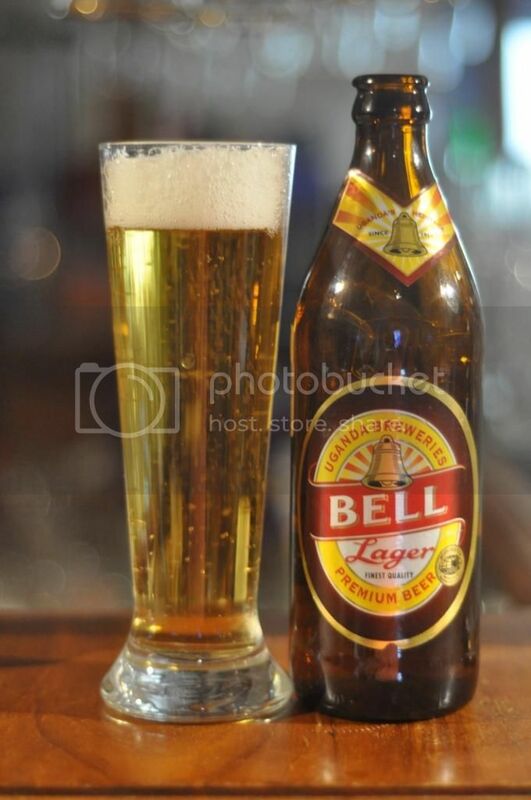 Today we've got Bell Lager, Uganda's best selling beer. By my reckoning Uganda is the sixth African country I've reviewed a beer from. It's a large country in East Africa with a population of around 35 million. It's a very poor country with around 15 million people living on less than $1.25 a day! I'm expecting Bell to be a reasonable beer as it's owned by the same company that makes Tusker and Serengeti. The pour is pretty standard across most lagers and this is no expection. The beer is quite a light golden colour with plenty of carbonation rising to a white head, The head is made up of quite large foam bubbles and dissipates quickly to nothing at all. At the top of the glass there is some lacing but as you get further down there is none. 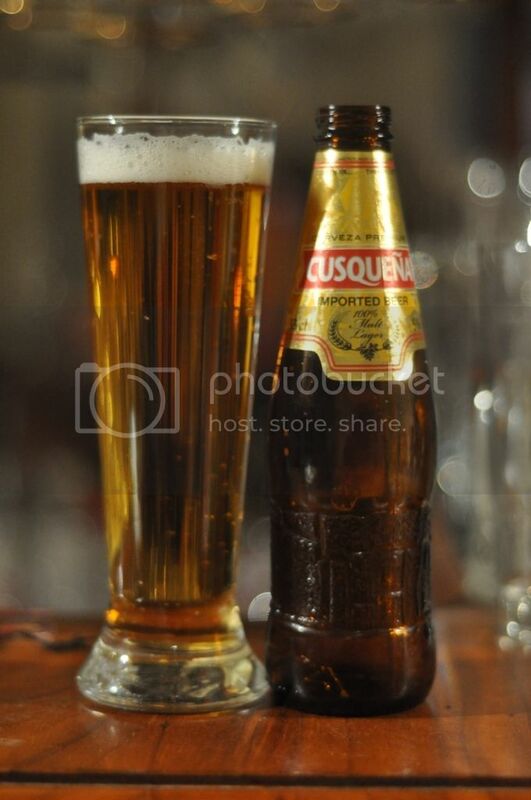 It looks like your typical cheap lager. Onto the nose and Bell Lager has passed my usual lager test! The nose was weak but what was there was slightly sweet inoffensive grain aromas. I would be lying if I said I could smell hops distinctly, but there certainly is a bitterness to the aroma. The main thing is though, that this beer doesn't smell bad. Bell Lager tastes much like you would expect it to after the aroma. It's got some light graininess which is actually quite nice, It does have a slight sweetness, which thankfully isn't overpowering, and there is some reasonably bitter grassy hops that balance it out. The carbonation is good and they provide a nice effervescence on the tongue. It's a crisp refreshing lager. What to make of Uganda's national beer? Bell Lager on the whole is pretty good beer. It's certainly nothing special but it is a nice easy drinking lager. My conclusion on this one is that it's probably not worth seeking out, but if you come across it and are interested in trying a new lager it would be worth a go. Also there's not that many people who can say they've had a beer from Uganda.